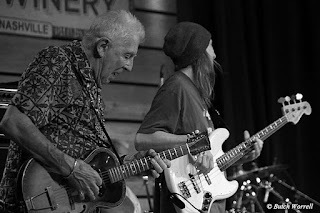 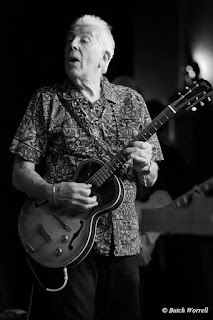 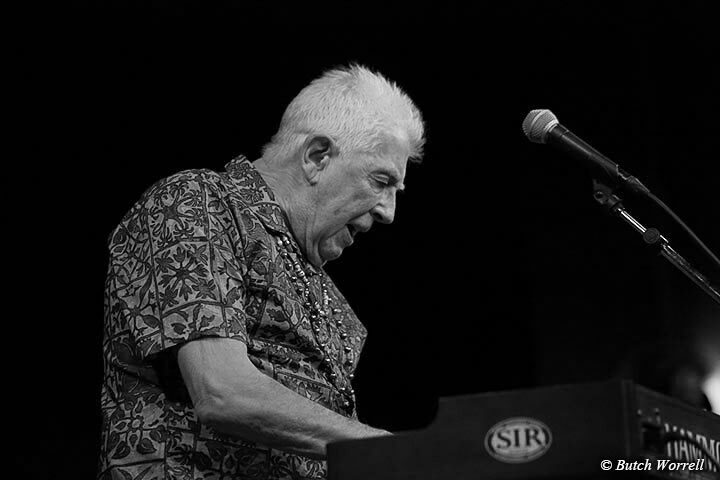 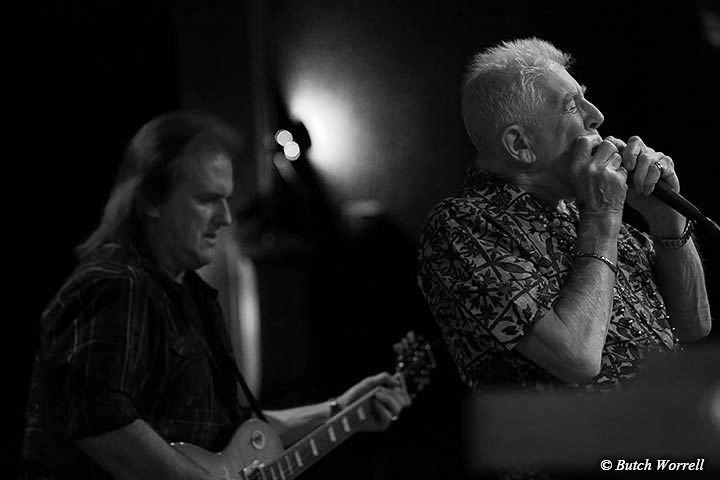 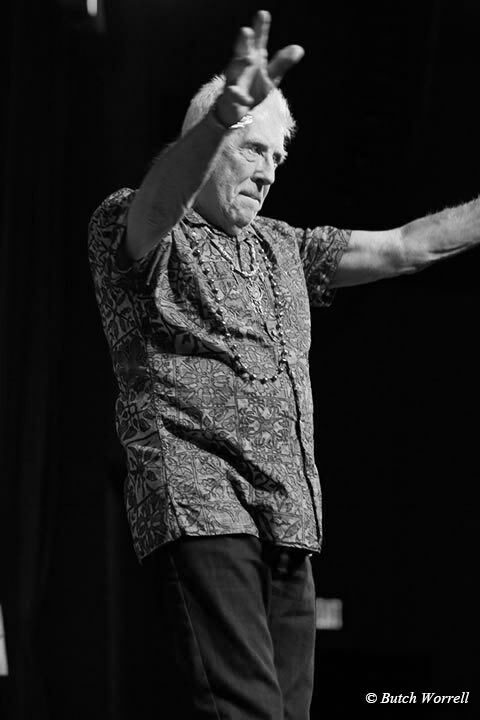 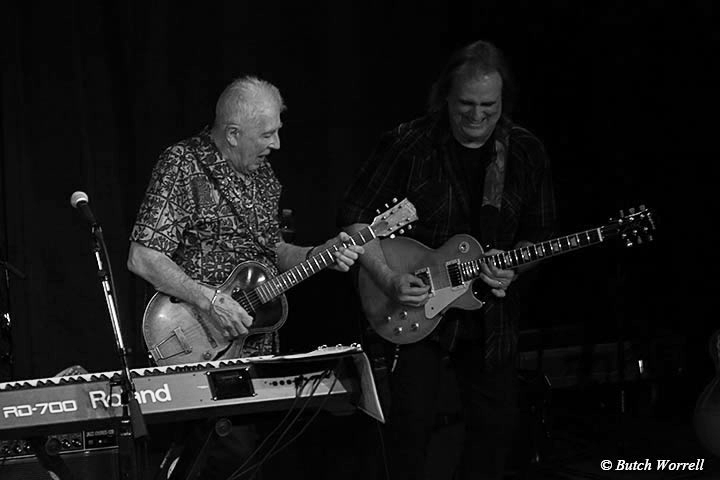 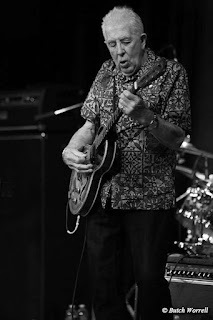 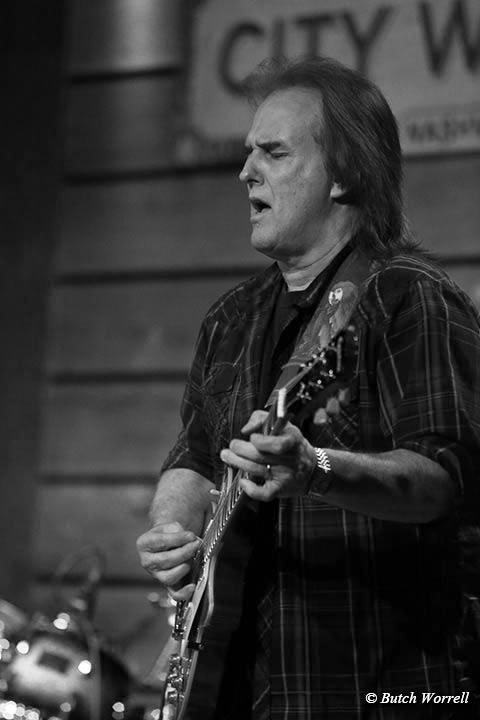 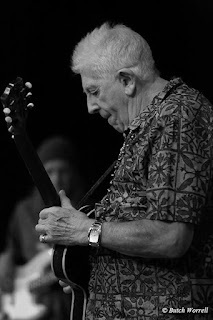 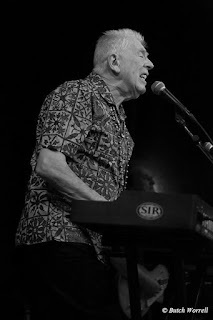 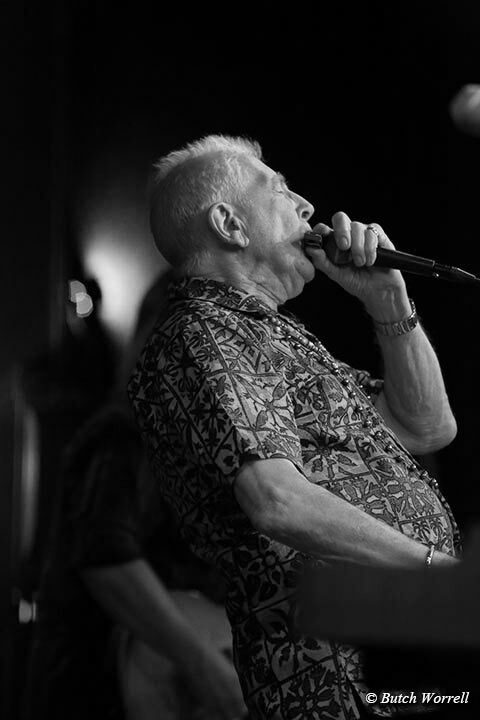 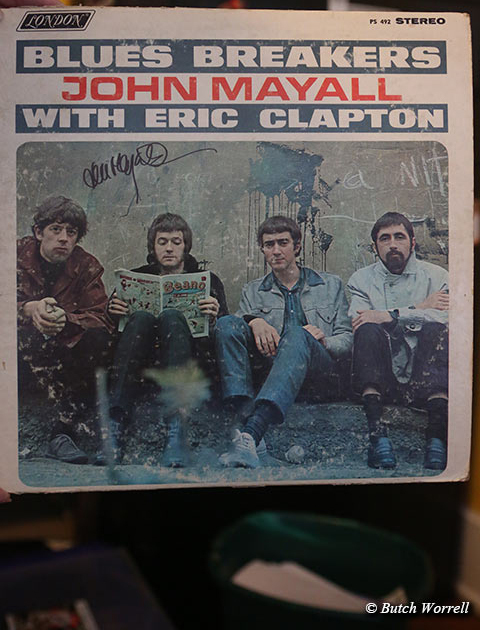 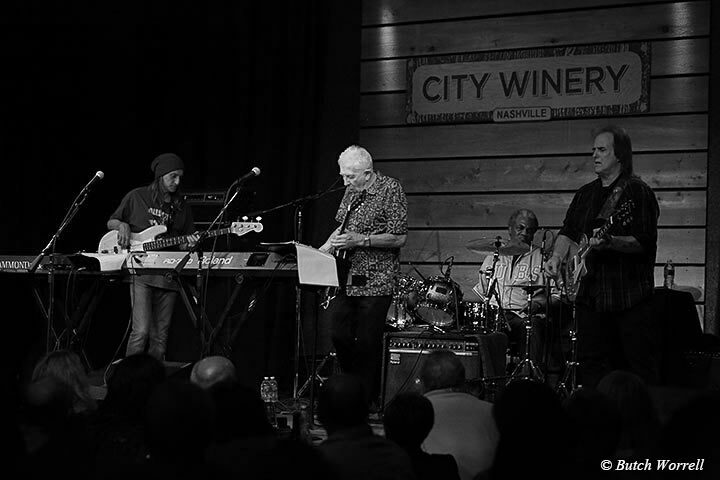 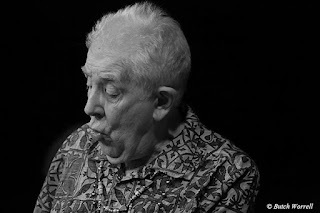 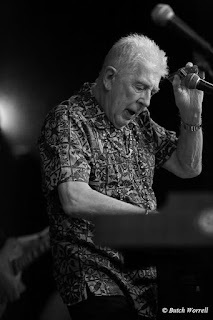 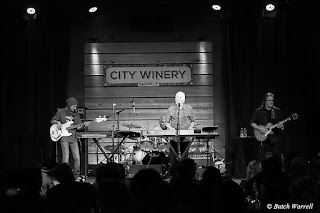 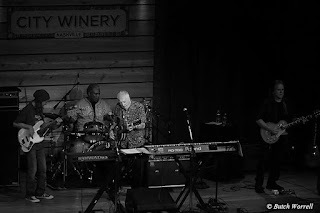 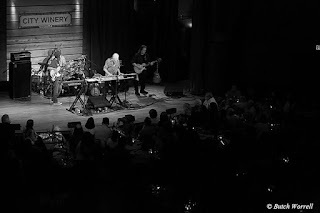 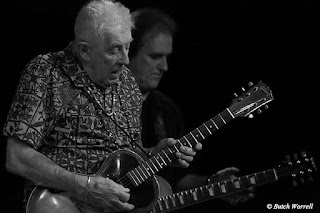 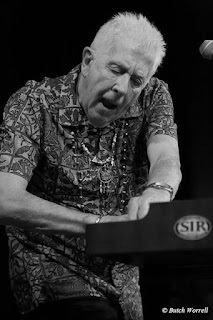 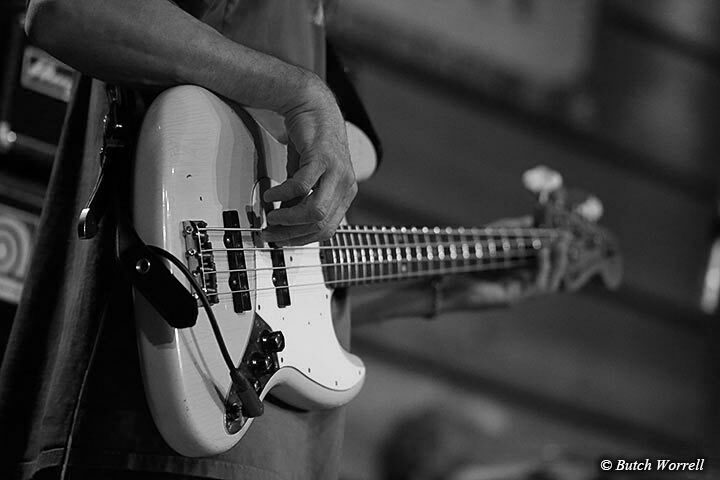 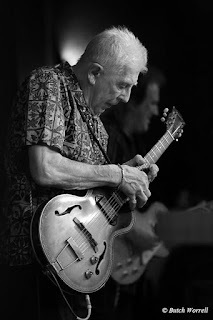 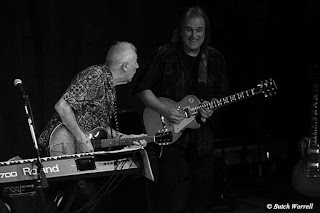 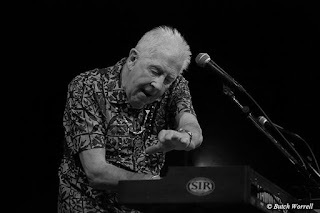 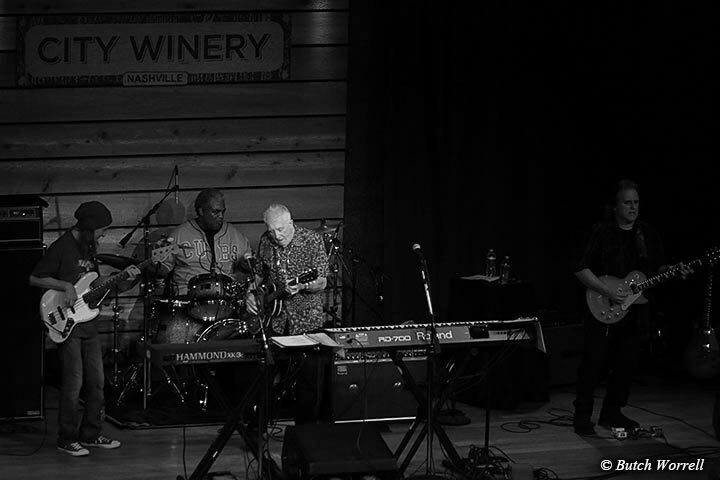 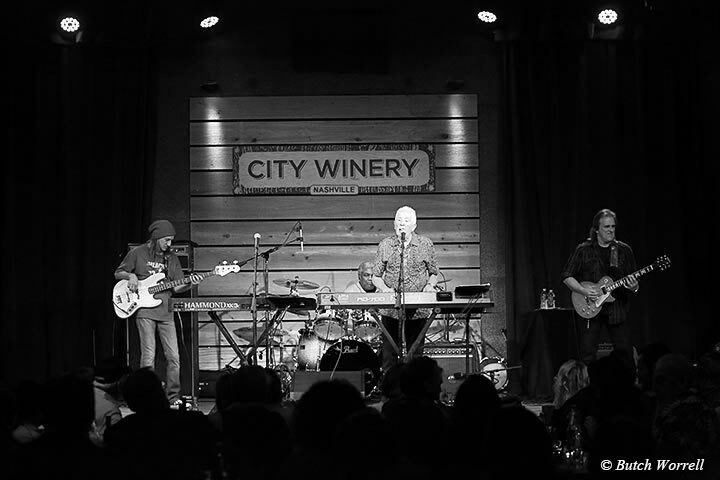 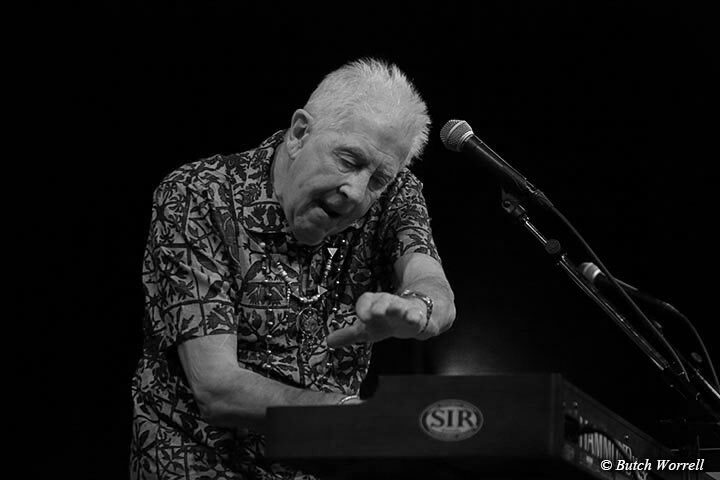 John Mayall made Nashville City Winery his first stop on his U.S. Tour. 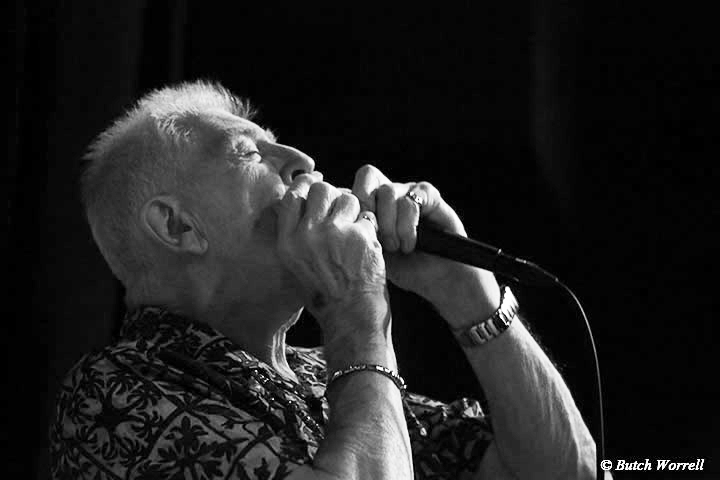 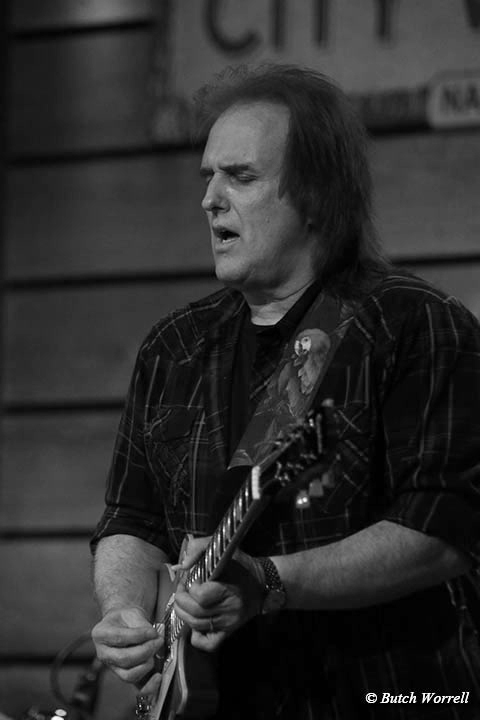 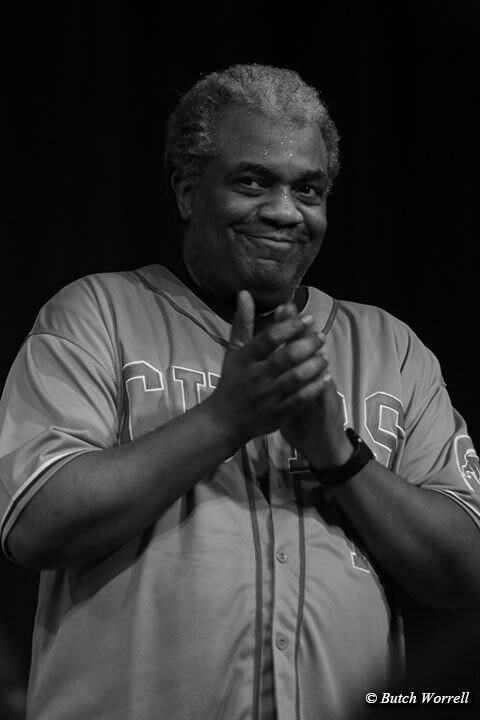 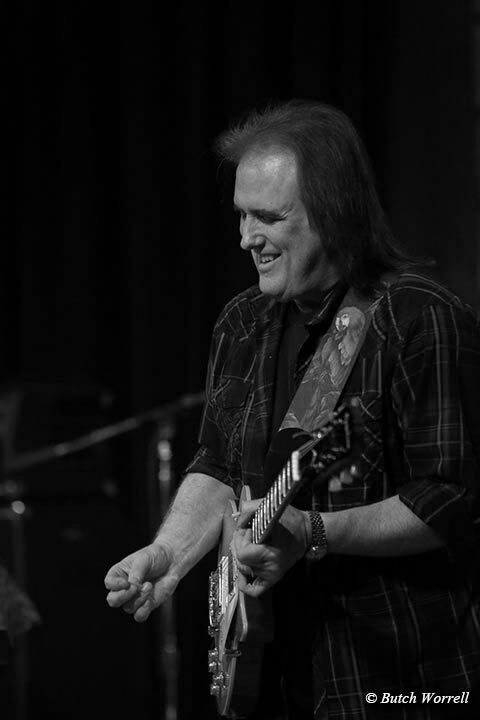 Often referred to as the ”Godfather of the British Blues”, he is being honored in Memphis May 4 as an inductee into the Blues Hall of Fame. Born near Manchester, England in 1933 John was introduced to the Blues at an early age by his father. 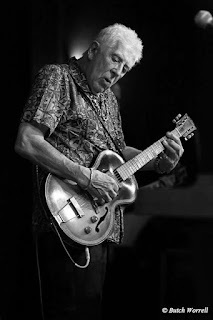 In 1962 he moved to London and formed the “Blues Breakers”, a group with many famous alumni such as Eric Clapton, Peter Green, Mick Taylor, John McVie, and many more. 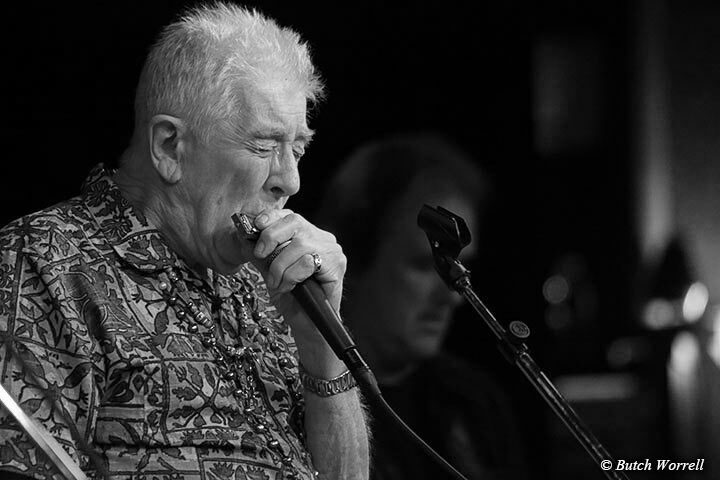 His “Blues Breaker” album released in 1966 has been called by many as one of the best albums ever released. 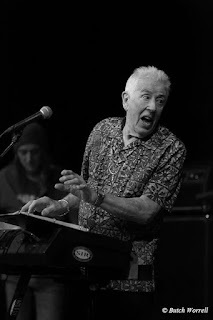 Fifty years on at 82 years old John still displays the same intense, exciting, and fun musician/showmanship as in years past. 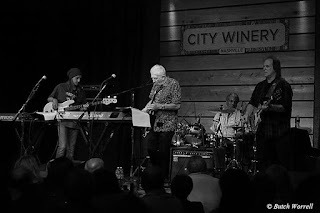 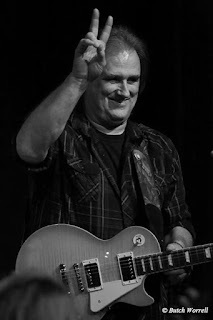 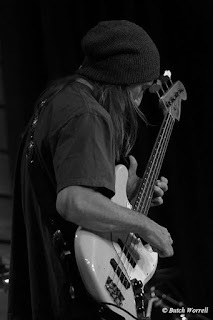 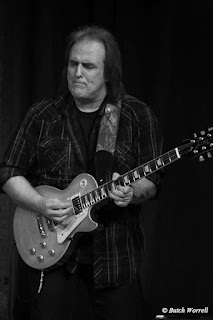 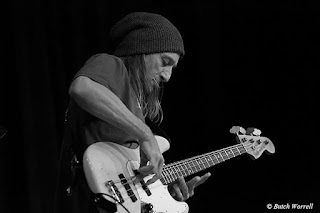 Backed by Rocky Athas on lead guitar, Greg Rzab on bass, and Jay Davenport on drums John demonstrated that age is no barrier to making great live music. 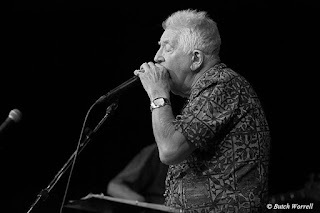 Alternating between keyboards, harmonica, and guitar John led the band through a succession of his own songs. 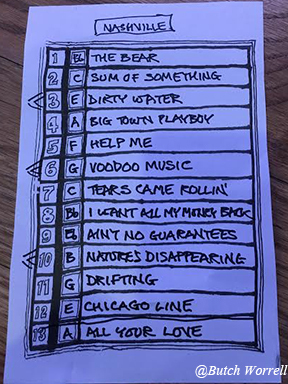 The encore, “All your Love” (Otis Rush/Willie Dixon) was very appropriate, being the lead song from that iconic “Blues Breakers” album that started it all.